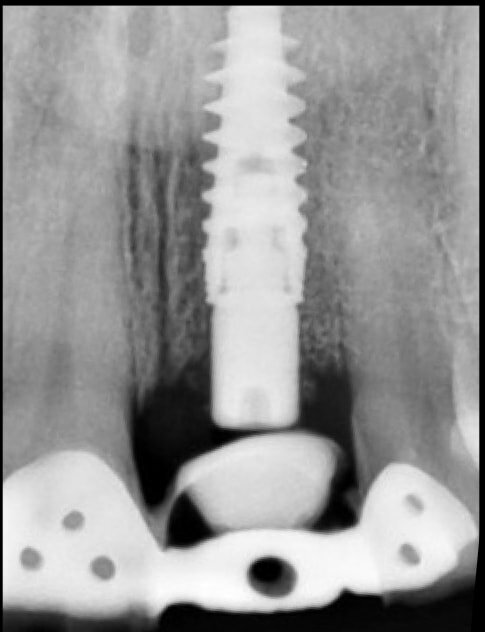 A 41-year-old female patient with a failing post crown in tooth #21 FDI (#9 US) with root fracture and infection. Her treatment consisted of implant placement with simultaneous Guided Bone Regeneration (GBR) and soft tissue augmentation. 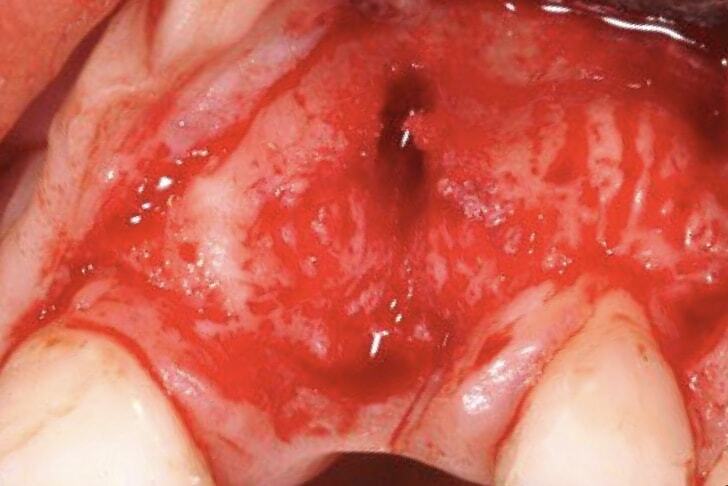 This procedure included a pedicle Connective Tissue (CT) Graft in the form of a roll flap for a failing maxillary central incisor that also had a labial bone loss. Initial situation. Facial view. 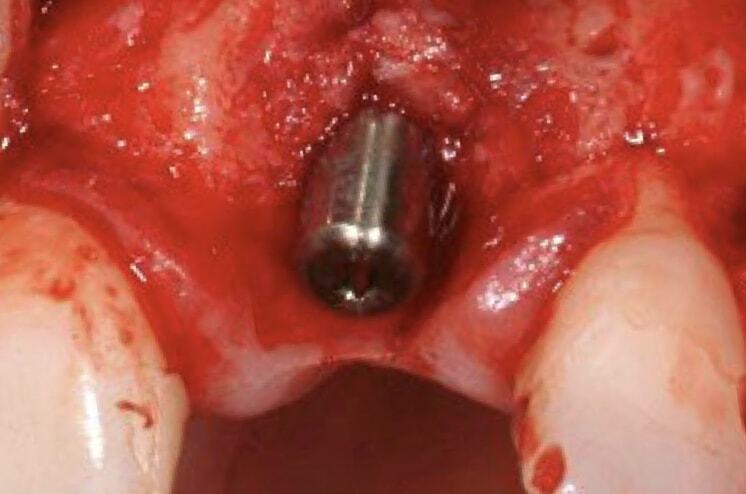 Failed post crown on #21 FDI (#9 US) with fistula and infection. 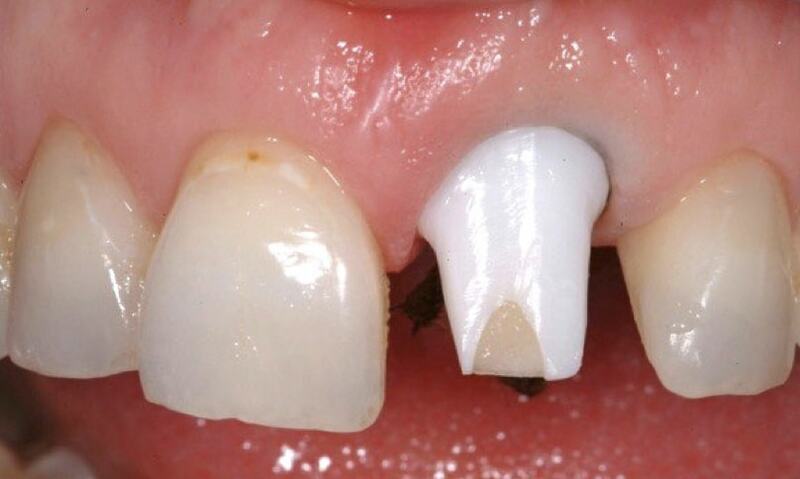 Initial situation occlusal view. 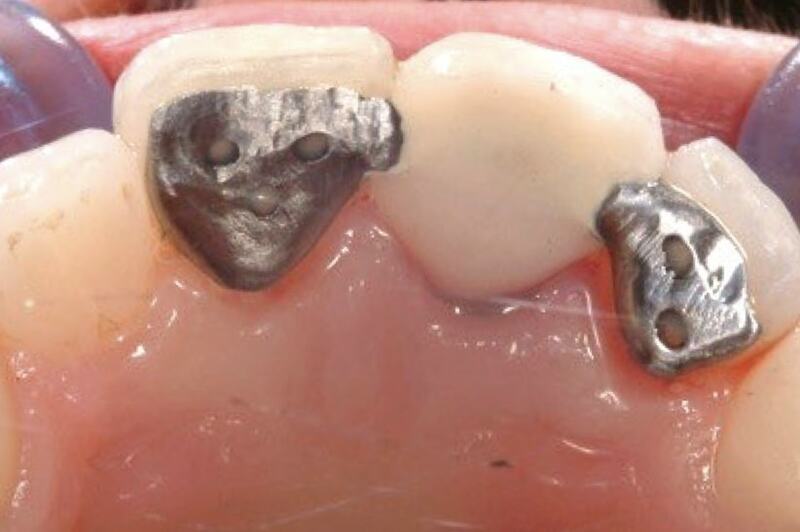 Fracture of the post and crown of #21 FDI (#9 US). Initial situation. High smile line. Initial situation. 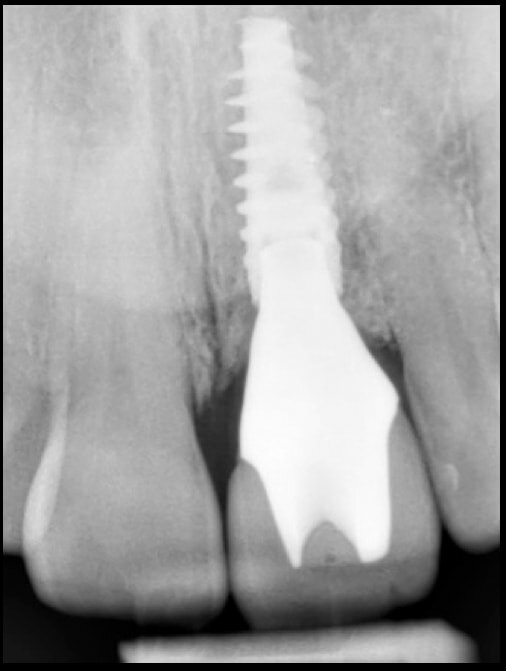 Periapical radiograph of #21 FDI (#9 US). Initial treatment: Extraction. Pre-operative view of remaining fractured root of #21 FDI (#9 US). Root fragment of #21 FDI (#9 US). 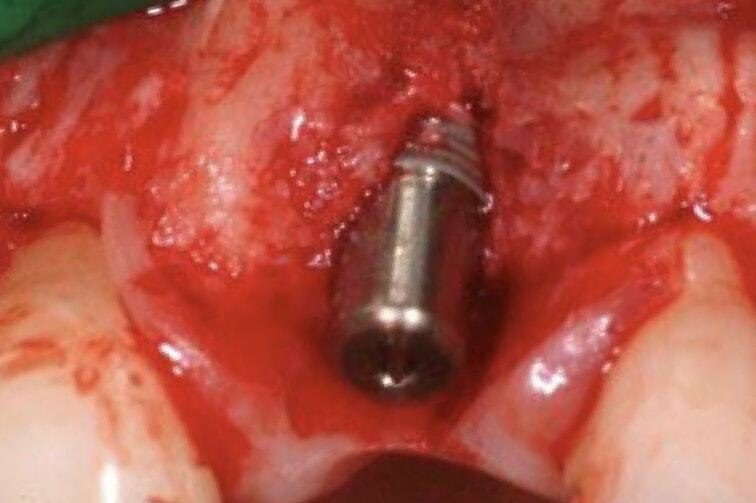 Careful extraction and examination of socket reveals missing labial bone plate. Provisional Rochette bridge from #11 to #22 FDI (#8 to #10 US). 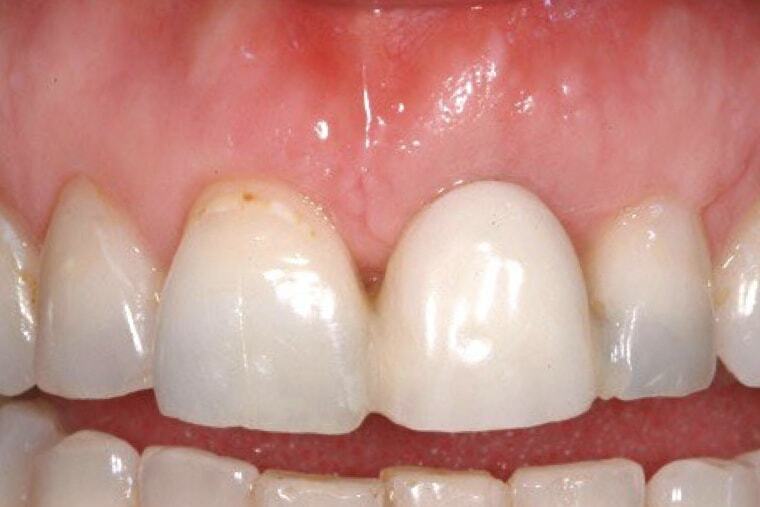 Papilla preservation flap at six weeks with vertical incision distal to lateral incisor. 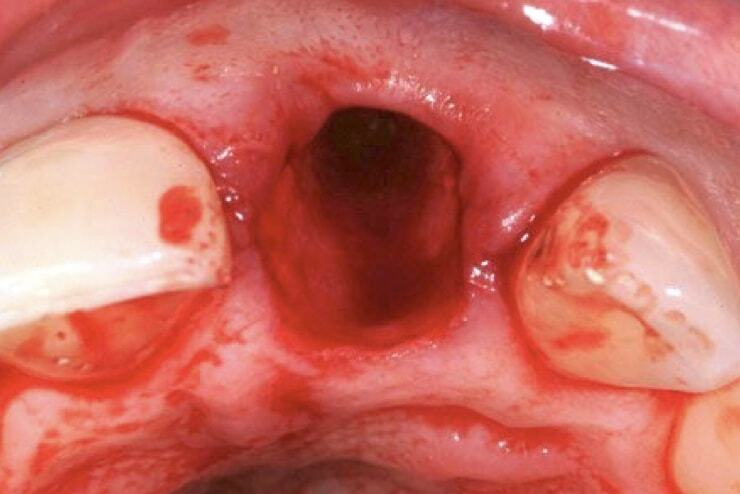 Missing labial bone apparent. 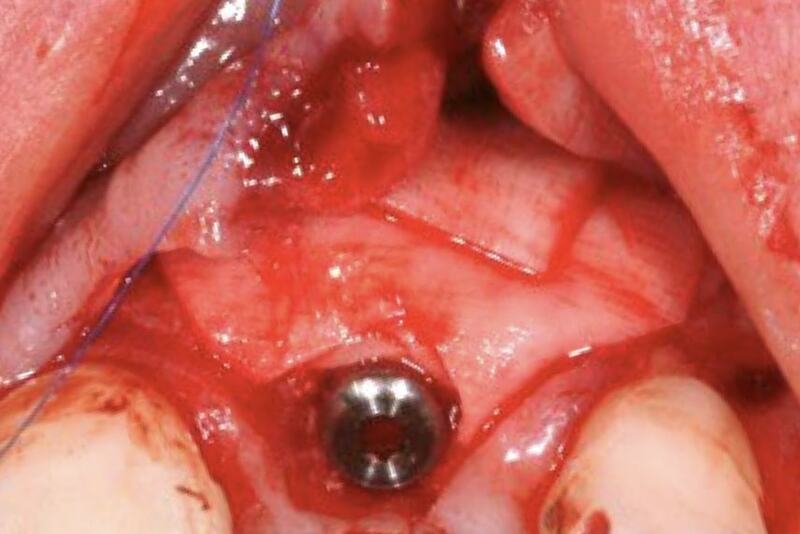 Surgical procedure: Nobel Active RP 13 mm with healing abutment in #21 FDI (#9 US). 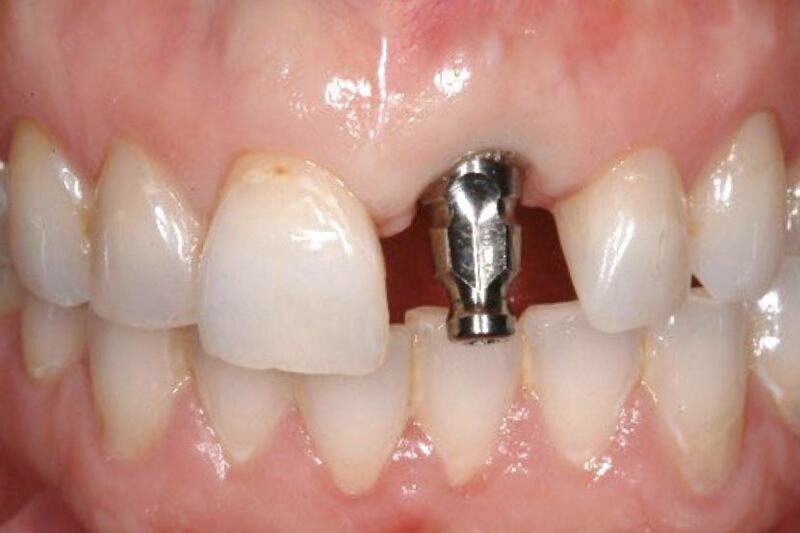 Autogenous bone scraping places over exposed implant threads. 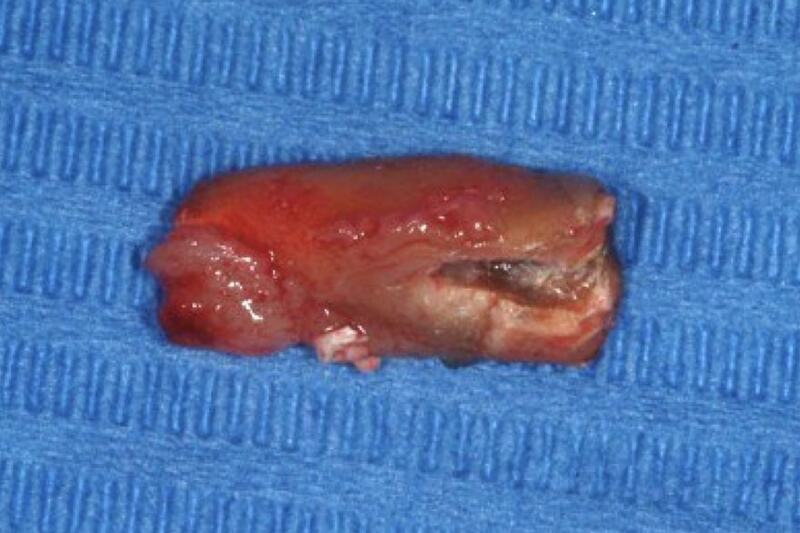 Anorganic bovine bone graft placed to replace missing bone volume in #21 FDI (#9 US). Absorbable collagen membranes along with de-epitheliased roll flap to augment soft tissue volume. 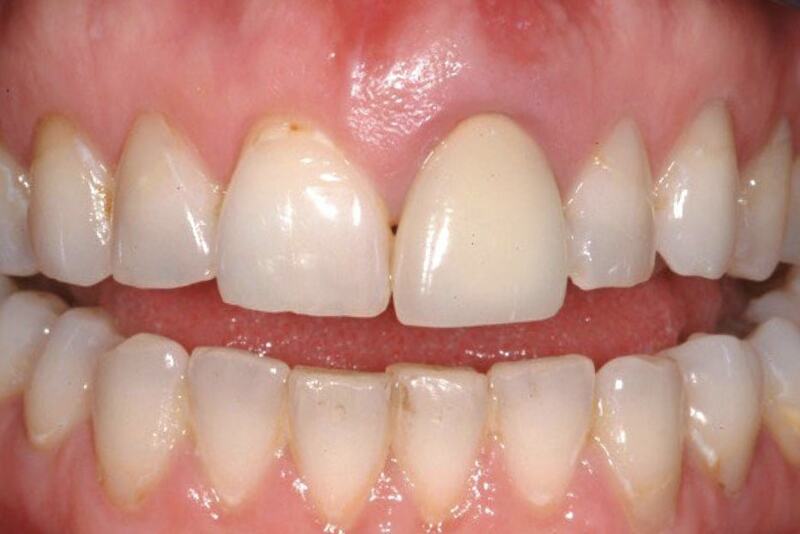 Precise flap closure showing successful augmentation of labial volume. 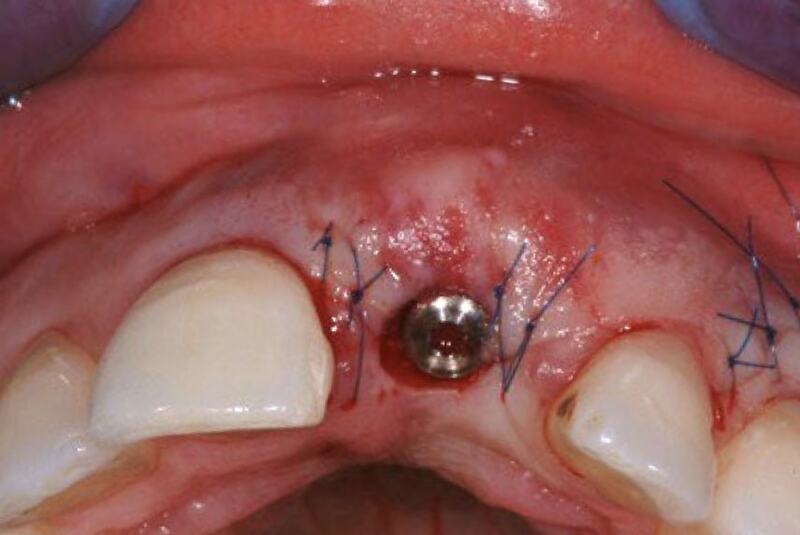 Rochette bridge in place over healing abutment at 1 week post-op after suture removal. 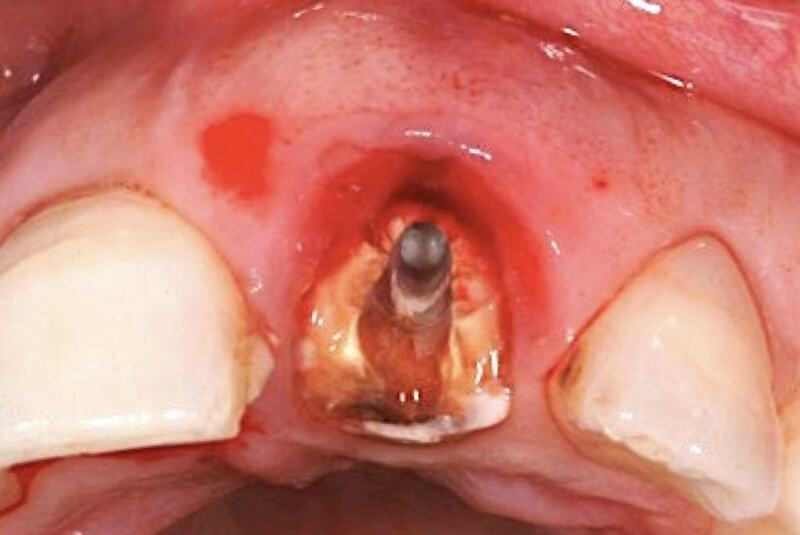 Healing abutment and site at 3 months after surgery. 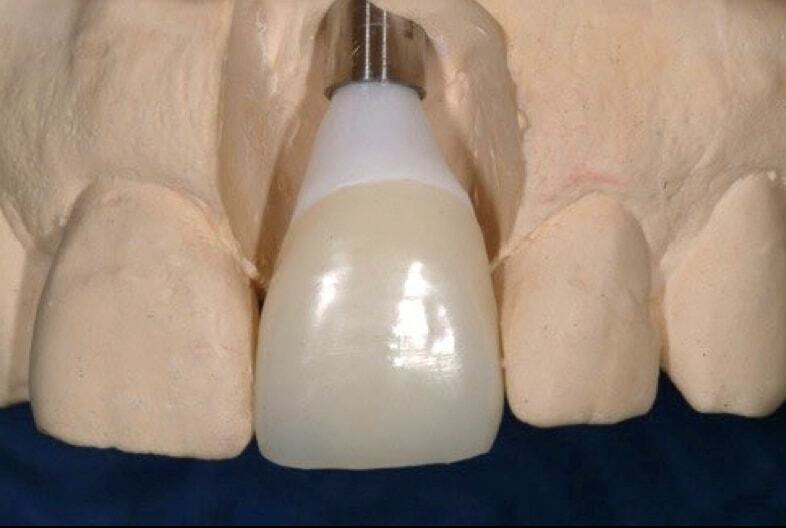 Provisional crown on NobelProcera Zirconia abutment on model designed to guide tissue healing. 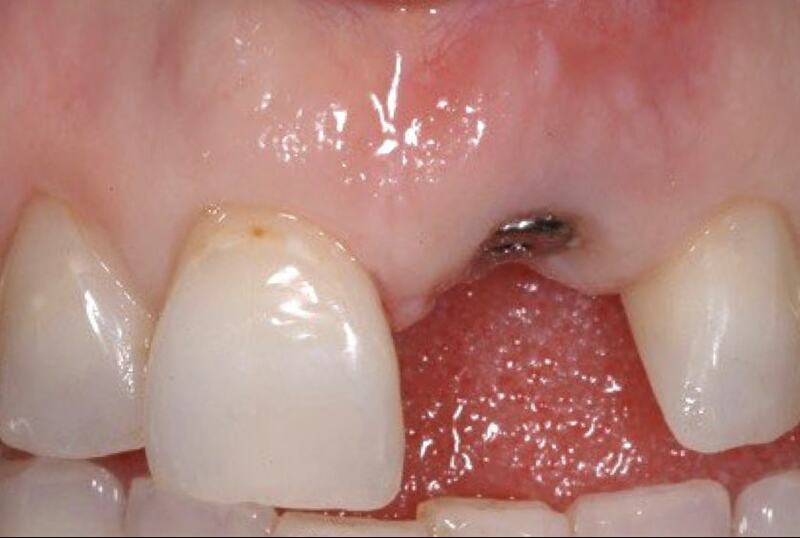 Abutment placement after cleaning and disinfection of components, note initial blanching and abutment has been carefully adjusted and shaped so that the labial gingival margin is at the correct level. Retraction cord placed to control cement excess. 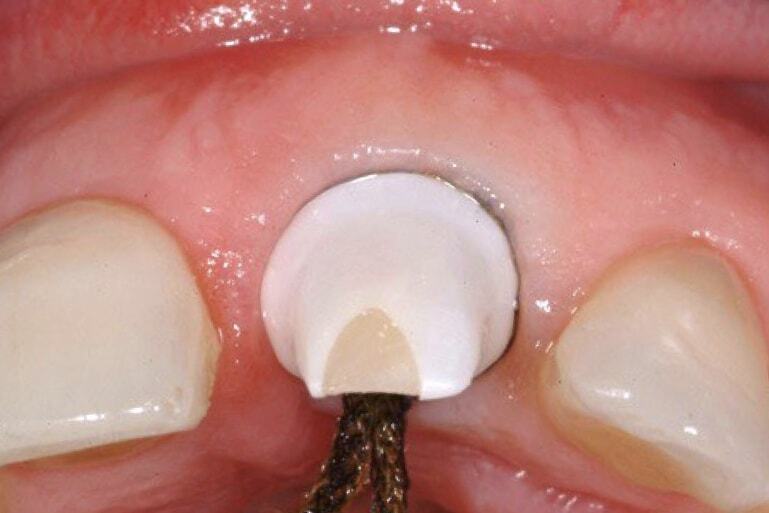 Abutment is designed to easily access cement excess. 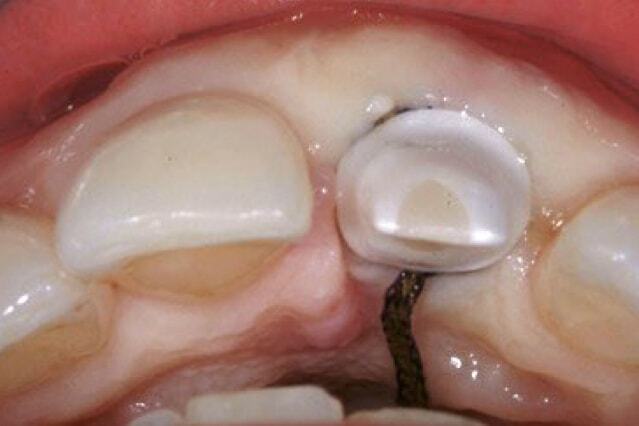 Provisional crown after removal of cord and cement excess. Note that the blanching has now disappeared. 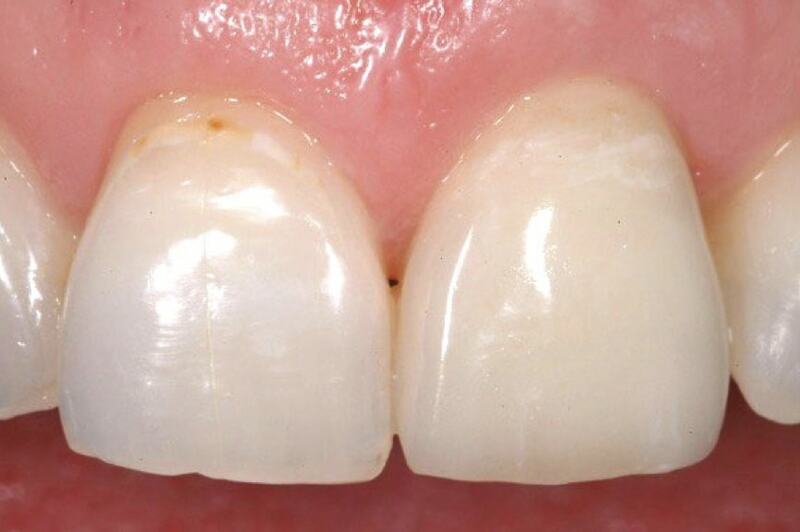 Zirconia abutment after 3 months. Note tissue maturation and health. 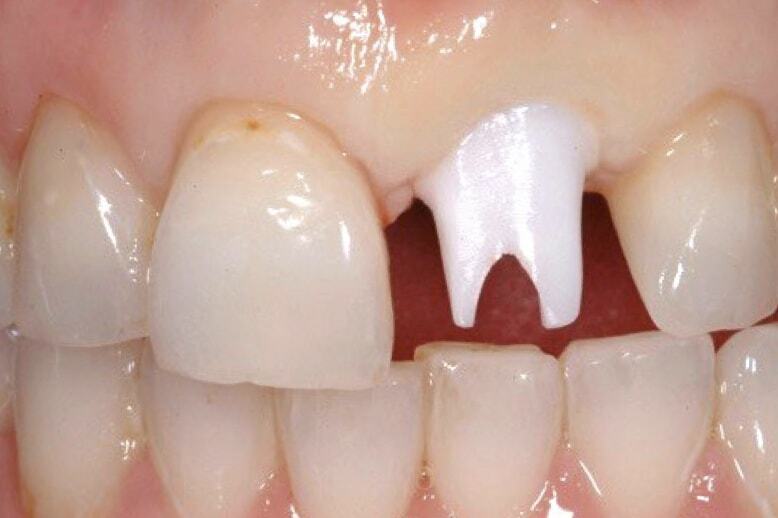 Final crown is made with a conventional impression of the abutment in situ with easily accessible margins only slightly sub-gingival. 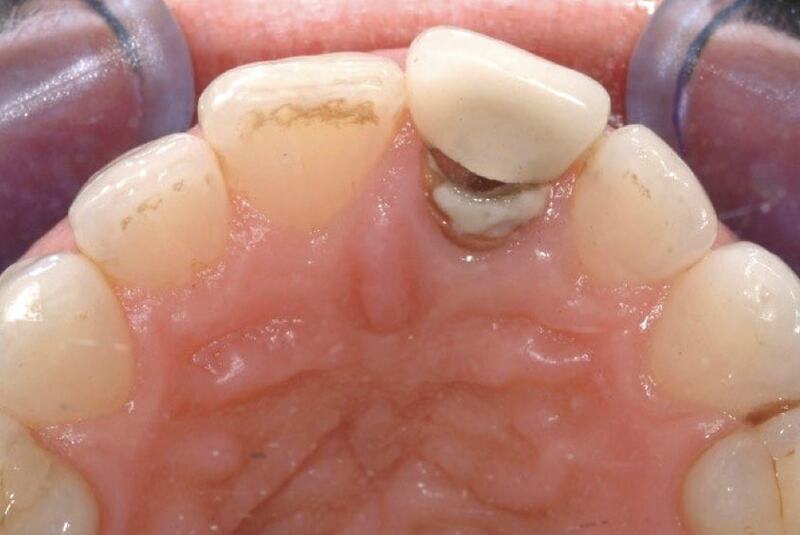 Occlusal view of abutment prior to cementation of final crown. Retraction cord is placed to control cement excess. 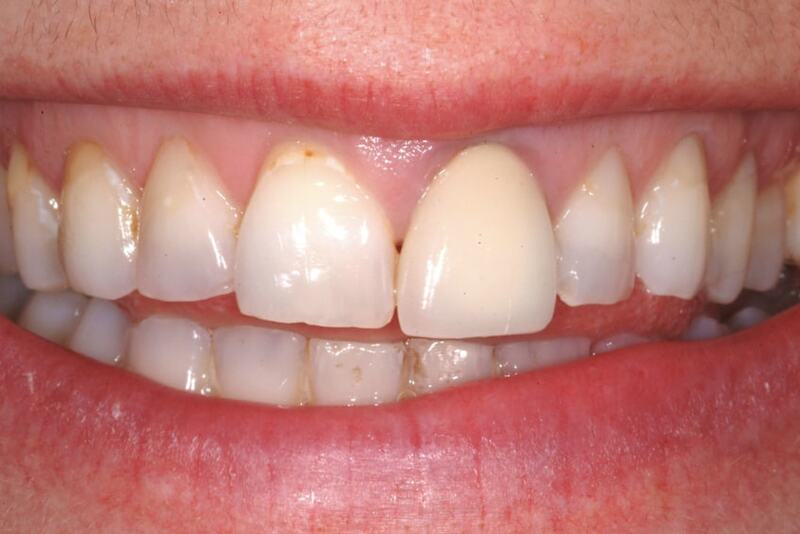 Restorative outcome: Final IPS e.max (lithium disilicate) crown #21 FDI (#9 US). 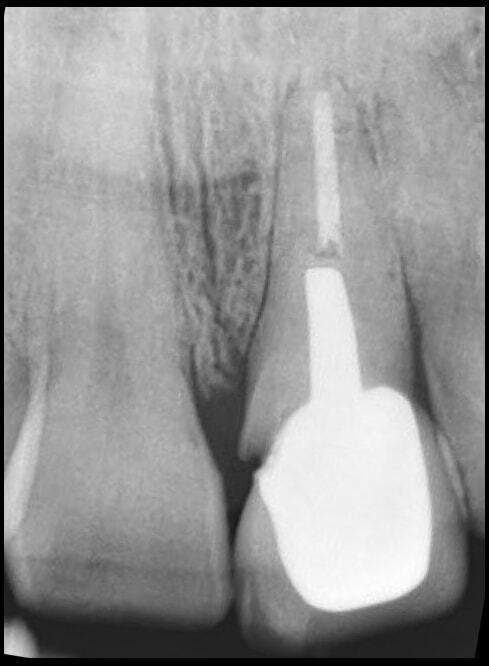 Final periapical radiograph of #21 FDI (#9 US). Showing excellent maintenance of bone levels. 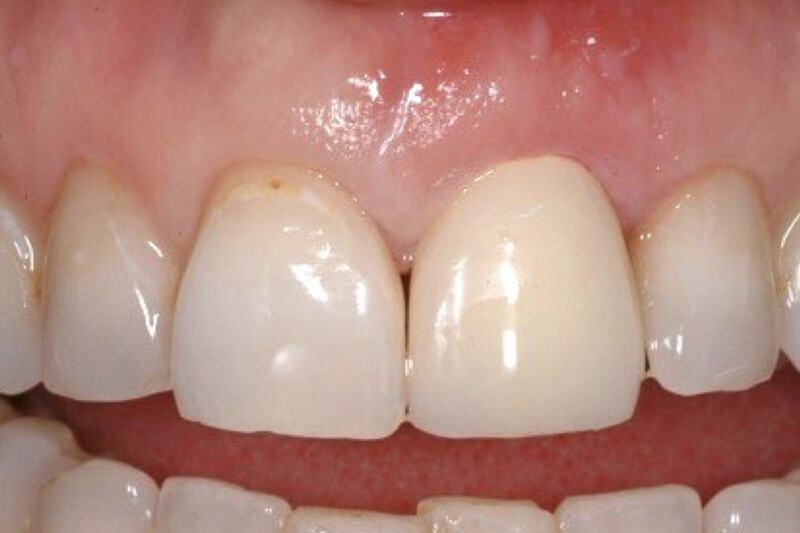 Three months after implant placement, there was correct ginginval margin profil (there is no significant difference in gingival profil in additional 3 months delay with provisional crown on deffinitive zirconia abutment). 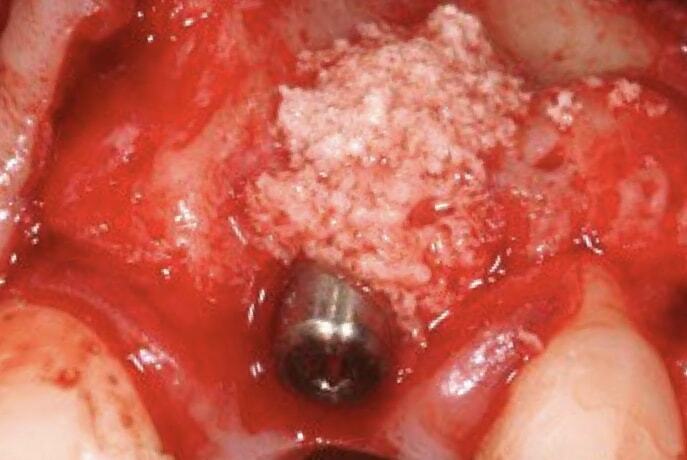 Would it be possible to place deffinitive emax lithium disilacate crown after just first three months of osseointegration and with healing abutment on the implant to make an deffinitive reconstruction faster? Thank you and kind regards.